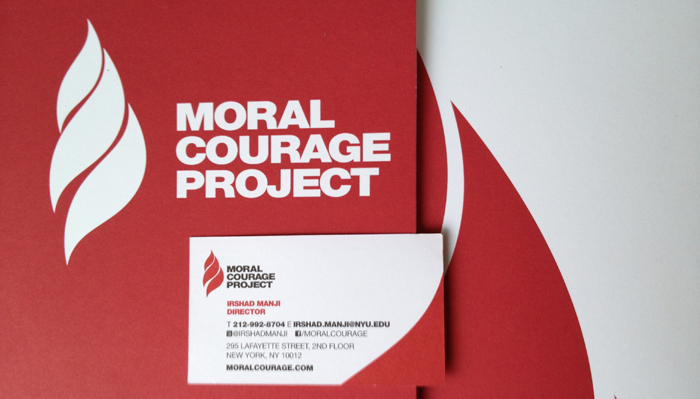 A new brand package for the Moral Courage Project (MCP) consisting of a logo, letterhead, tear sheets, fundraising kit and other fun things (pictured above: presentation folder with business card). The Moral Courage Project is housed at New York University’s Robert F. Wagner Graduate School of Public Service and is lead by professor Irshad Manji. The Moral Courage Project is growing into a global leadership program to help students engage in difficult dialogues about culture, power, justice, responsibility, citizenship and other contentious issues. For more information about MCP you can visit the website or contact me directly.